Music can be described as sound (auditory stuff) changing over time. For some compositions artistry resides in how the composer-artist-performer-creator uses tools of artistry (e.g., sounds, etc.) to show events-changes-progressions through time. Robert Frost's "Tuft of Flowers" moved me as a budding closet 'flower child' in 'the 60s' and has stayed embedded in the synaptic folds of my mind over the decades. 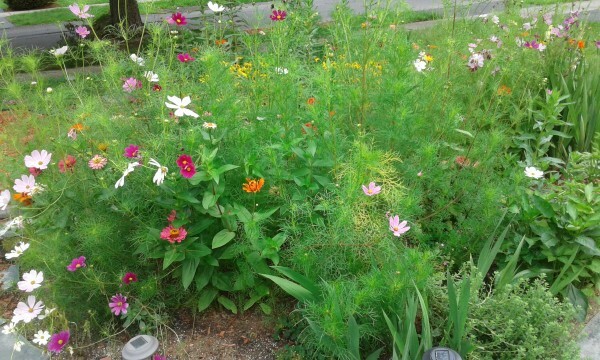 Today, Google shows my incipient garden from September 2011--when I first decided to leave a single plant unmowed in the middle of my lawn. The landscape of my garden (my alternative lawn), much like my soundscapes, demonstrates changes over time in part though intentionality and in part through unplanned happenstance. Like music I sometimes chose to share, I now share "My Alternative Lawn." 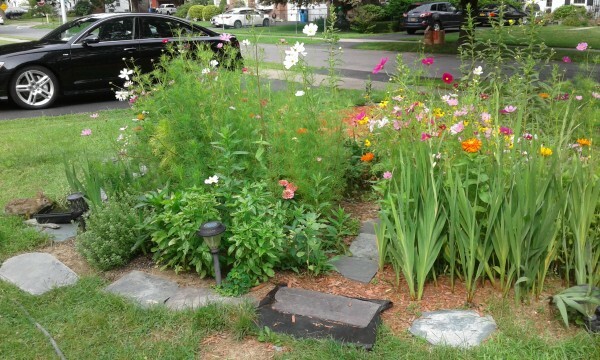 Like my neighbors, I expect some will appreciate and enjoy and others will find it wild and unkempt. To each his or her Dulcinea. how much of it was planted/sown by you ?